Exactly 1 week ago, Africa biggest reality TV show Big Brother Naija commenced its 3rd season of the show where this time around saw 20 housemates ushered into the Big Brother house to showcase their talents and to compete for the grand prize. The Big Brother Naija Season 3 has already kick-started on a brighter note with fans of the housemates and viewers across the globe gradually rallying round to gather and throw their maximum supports to their favourite housemates. And one of the ways in which the fans of the housemates do such is by airing their opinions about their favourite housemates through different media outlet, especially through the social media. 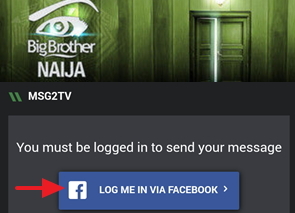 If you are a watcher of the Big Brother Naija Season 3 reality TV show, you must have noticed different social media comments/opinions from fans of the housemates constantly scrolling past leftward at the bottom bar on your TV screen. At this point we believed that some of you have also wanted to know how to make your own social media comments/Opinions on Big Brother Naija Season 3 to appear on the scrolling TV bar. 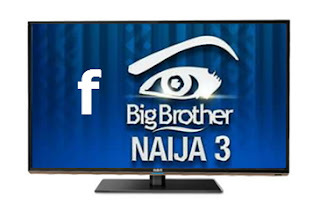 In that vein we will be starting with Facebook and we shall be showing you how to make your Facebook comments/opinions on Big Brother Naija season 3 appear on TV like you used to see others. • In the message box, type in your comment/opinion and click on the Send Message link below to submit your message. 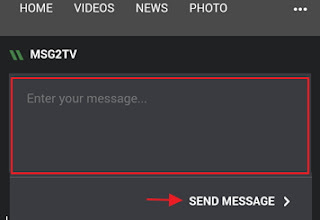 • Your message would be submitted and after moderation, it will be displayed alongside that of others on TV scrolling bar section. Finally, if you are keen to seeing your submitted Facebook message appear on TV, you will have to watch out for the message on TV by keeping your eyes glued to your TV as you watch the show, but sometimes it is quite unfortunate that some people don’t get to see their comments themselves because it might scroll past on TV the time they were not watching.